After a long and wonderful life, John Elisha Simkins died peacefully on September 18, 2011 at his home in Oakville at the age of 92. 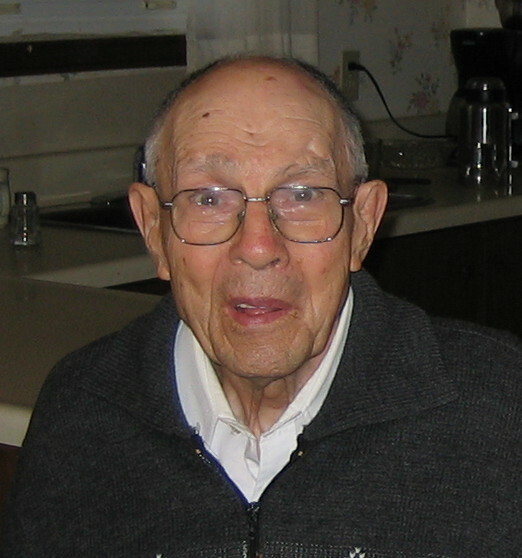 John was the beloved husband of Violet for 65 years, father of Jon, Jennifer (King), and Janice (Thomson, deceased), and the grandfather of Rachel, Heather, and Miki. He is survived by brother Ted and sister Peggy (Martin) and predeceased by his twin brother Ernie. John was born in Measham, England in 1919 and moved to Hamilton, Ontario in 1927 where he attended Delta High School. During World War II, he served with the Royal Canadian Infantry in Europe, rising to the rank of Major. In 1949, he and Violet wed in Hamilton. Soon after, John graduated with honours from McMaster University and was employed by Shell Oil Canada as a chemist in Montreal. In 1961, the now growing family moved to Oakville. John was a passionate gardener and was world-renowned as an author, speaker, and hybridizer of peonies. He was a member of the Garden Writers Association of America, served as president of the American Peony Society, and founded the Canadian Peony Society. He also wrote regular articles for many horticultural publications, including a column for the local paper. He served on the board of the Royal Botanical Gardens and held many roles in the Oakville and Ontario Horticultural associations. He was also recognized as an outstanding volunteer in the community and a life-long and active member of St. Jude's Anglican Church. Visitation will be held at the Kopriva Taylor Community Funeral Home on Wednesday from 2 to 4 and 7 to 9. The funeral service will be held Thursday September 22 at 11:00am, St. Jude's Anglican Church, 160 William St., Oakville. From coast to coast, the members of the Canadian Peony Society join in offering their sincerest condolences to the family of John Simkins. John was a pioneer in the peony field, as a hybridizer, an organizer, a spokesperson and an authority. The founder of our Society and a former President of the American Peony Society, his work is recognized and celebrated by peony lovers across North America. John remains an inspiration to us as we carry on his legacy and his passion for peonies. We, his horticultural family, share the deep loss that his own family, feel at this time. What moves through us is a silence, a quiet sadness, a longing for one more day, one more word, one more touch or why you left before we were ready to say good-bye, but little by little, we will begin to remember not just that you died, but that you lived. Your life has left a lasting legacy and we hope to not disappoint.